Qualification & Experience: Bachelors degree in Civil Engineering or its equivalent with at least 8 years experience in the execution/ supervision/ maintenance of large civil works as Assistant Engineer, Engineer, Project Engineer or its equivalent grade. Qualification & Experience: Bachelors degree in Civil Engineering or its equivalent with at least 5 years experience in the analysis and design of various types of large civil engineering concrete and steel structures as Design Engineer, Assistant Engineer, Engineer, Project Engineer or its equivalent grade. Qualification & Experience: Bachelors degree with at least 8 years relevant security supervisory experience in Government or in a reputed organisation. Should be well conversant with security matters and procedure to deal with local police and the general public. Qualification & Experience: Bachelors degree from a recognised university/ institutions with 8 years of relevant experience as Senior Stenographer or equivalent level. Knowledge of computer office applications & Secretariat practices. Minimum speed of 100 wpm in shorthand and Computer Typing Skill of 40 wpm or equivalent KDPH with an average of 5 key depressions for each word. Qualification & Experience: Diploma in Engineering of three years duration in appropriate field or Bachelors degree in Science or equivalent degree in appropriate field with 8 years relevant experience as Senior Technician or equivalent level. Experience and knowledge in computer application, electronic instruments, repairing & maintenance and handling of sophisticated instruments in the Workshop/ Laboratory/ Industry. Qualification & Experience: Bachelor’s degree in any discipline with 8 years of relevant experience as Senior Assistant or in equivalent level. Knowledge of computer office application of MS Word, MS Excel etc. and exposure to Office procedure like maintenance of Files, Noting, Drafting etc. are essential. Qualification & Experience: Bachelors degree in Commerce with 8 years of relevant experience as Senior Assistant or in equivalent level. Knowledge of computer office application of Accounting Software, Financial Accounting, Tally, MS Word, MS Excel etc. and exposure to Office procedure like maintenance of Files, Noting, Drafting etc. are essential. Qualification & Experience: Bachelors degree in any discipline with 8 years of relevant experience as Senior Assistant or in equivalent level. Knowledge of computer office application of MS Word, MS Excel etc. 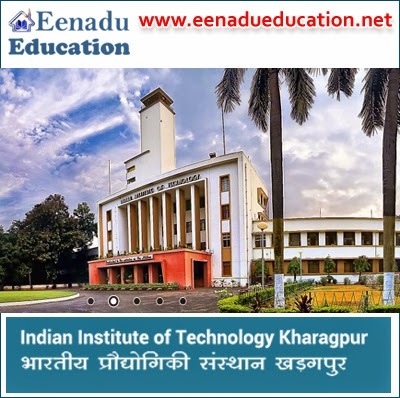 How to Apply: The completed application in all aspects should be sent to the Assistant Registrar, E-III, Indian Institute of Technology Kharagpur – 721302.